Search for the next Dean of the Warner School. The University of Rochester seeks the next dean of its Margaret Warner Graduate School of Education and Human Development to build upon its extraordinary legacy of teaching, research, and service. 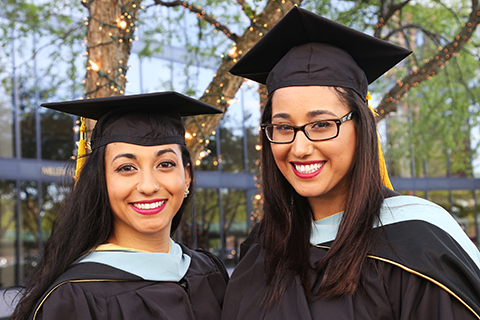 The Warner School’s academic programs and groundbreaking research are advancing the fields of teaching and curriculum, counseling and human development, and educational leadership, preparing the next generation of educators, leaders, and other helping professionals across those disciplines to make the world ever better. The Warner School’s commitment to improving education and supporting positive human development is built on a set of deeply held beliefs: that the improvement of education is in pursuit of social justice; that development and learning shape, and are shaped by, the contexts in which they occur; that the complexity of educational problems requires an interdisciplinary and collaborative approach; and that best practices are grounded in research and theory, just as useful theory and research are informed by practice. These principles enable and inspire the Warner School’s impact on local and global communities of learners, anchored by a core conviction that education can transform lives and make the world more just and humane. The next dean will be charged with developing and implementing a compelling and innovative vision for the Warner School’s future, ensuring its financial sustainability, building community both within and beyond the School, fostering greater interdisciplinary and cross-school collaborations, and maximizing the Warner School’s impact on the fields of education and human development and on individual lives at scale. Applications and nominations are invited. For fullest consideration, please apply by February 1, 2018. The next dean of the Warner School will be an innovative and inspirational leader with vision, a commitment to social justice, and significant academic and administrative accomplishments to advance the Warner School as a leading graduate school of education and human development. The dean is a senior academic leader at the University of Rochester and, in partnership with the president and provost, an important steward of strategic institutional priorities. The dean shapes the vision, goals, and objectives for the Warner School, generates resources in support of those priorities, and manages the school’s operations. Learn more about the opportunity in this comprehensive leadership profile. All inquiries, nominations and applications are invited. Review of applications will continue until the position is filled. For fullest consideration, applicant materials should be received as soon as possible and no later than February 1, 2018. Candidates should provide a curriculum vitae, a letter of application that addresses the responsibilities and requirements described in the leadership profile, and the names and contact information of five references. References will not be contacted without prior knowledge and approval of candidates. The Warner School is committed to defining educational leadership that is research-based and tested against the realities of the nation’s schools and communities. 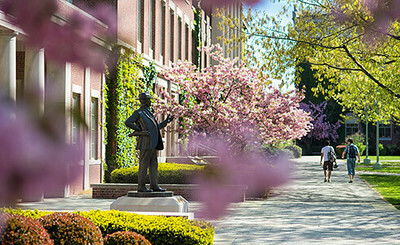 Founded in 1958, and renamed the Margaret Warner Graduate School of Education and Human Development in 1993, the Warner School is recognized both regionally and nationally for its tradition of advancing educational knowledge, informing and shaping education and social policy and training researchers and practitioners to make a transformative impact on local and global communities of learners. Today, the Warner School is preparing the next generation of educators and education scholars to be leaders and agents of change who are knowledgeable, reflective, skilled, and caring, and to make a difference both in their fields and in the lives of others. Learn more about the Warner School. The University of Rochester ranks among the nation’s top research universities and has been a member of the Association of American Universities since 1941. The University comprises six academic units: Arts, Sciences and Engineering (including the School of Arts and Sciences and the Hajim School of Engineering and Applied Sciences), School of Medicine and Dentistry, School of Nursing, Eastman School of Music, Simon Business School, and Margaret Warner Graduate School of Education and Human Development. The physical proximity among the academic units is closer than at most major research universities and helps to foster interdisciplinary collaborations across schools. The University’s libraries are among the best in North America, with membership in the Association of Research Libraries and combined holdings of more than 3.5 million volumes and extensive collections of online databases, electronic journals, rare books, and musical scores. 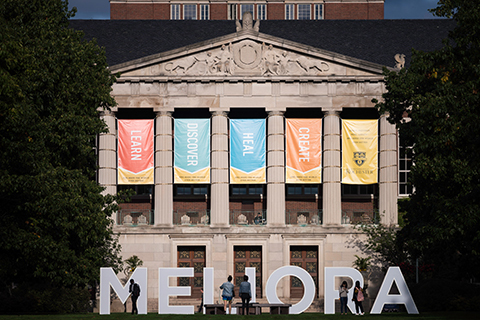 Including the medical center, the University of Rochester has 1,320 full-time and part-time faculty and more than 11,200 full-time and part-time students divided between undergraduate, graduate, and professional education. Faculty have won support for their research from many sources, including federal and state governments, corporations, foundations, nonprofit agencies, individuals, and the University itself. 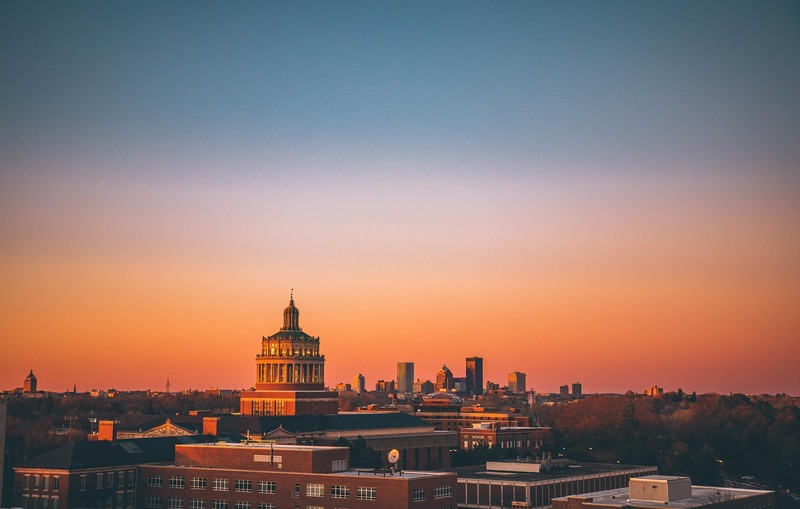 Learn more about the University of Rochester.